Egerszalók’s real attraction, on the southern side of the village, is the thermal spring erupting from deep in the earth and limestone hill created by water runoff, which over the years has come to be known as “salt hill.” The 65-68 C◦ medicinal water rich in mineral content continually builds jagged, white formations, offering an imposing spectacle. The medicinal water of calcium magnesium hydrogen carbonate also contains sodium and a significant amount of metasilicic acid, and has been ranked as one of the best in the sulphuric medicinal waters category. Over the years, the limestone hill has become a symbol and trademark of the surrounding area. It’s a sight unique to Europe, with similar natural formations found only in two other places in the world, at Pamukkale in the Asian part of Turkey and in Yellowstone National Park in the United States. Based on the composition of the water, it can be classified as calcium magnesium hydrogen carbonate mineral water, for which the sulphur content is also significant. Calcium has an anti-inflammatory effect, and sulphur is an important component of cartilage in the joints. A total of 17 outdoor and indoor pools are located in the facility, with a water surface of 1,900 m2. 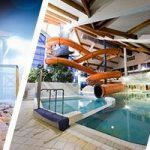 Medicinal spa baths, jacuzzi spas, adventure pools, children’s pools and slides ensure a pleasant stay for all ages. Our fitness room, equipped with Life Fitness cardio and strength machines, awaits those both young and old who desire active motion. The spa’s exclusive Sauna World offers a unique experience for sauna lovers. 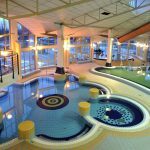 Indoors, there are two Finnish saunas, a bio sauna, thermium, steam room, aroma cabin, and a diving pool, while outdoors there are Finnish and Russian sauna houses made out of logs, the first ones constructed in Hungary, plus a diving pool. We hold several sauna seances daily, and guests can choose ice, beer, honey, or salt ceremonies. Sauna World may be used for an extra fee. The spa’s catering facilities: self-service restaurant, café, sauna bar, beer hall and ice cream stall. With this wide variety of places, everyone will be able to find the product that suits their tastes and lifestyle. The self-service restaurant is available to guests year-round. In addition to traditional Hungarian and international cuisine, we can provide “reform” dishes as well. In the café, among other things, delicious cakes, cream cup desserts, packaged beverages and coffee specialities await you. The sauna bar operates during special periods, offering refreshments, cocktails, and draught beer. The outdoor beer hall is open in good weather and attendance. Its food selection recalls an old-time atmosphere, since in addition to hot open-faced sandwiches, the big favourite, hamburger, can also be had here. And for the adults we are pleased to offer draught beer. At the ice cream stall, we offer the indispensable delicacy of summer. Enjoyable animation programmes are waiting for young and old on every Saturday and Sunday from 10.30 AM – 05.00 PM in the Thermal Spa! PARKING: We kindly ask our guests to use the designated parking areas and take into account the traffic signs! Parking at the Nostalgia Spa’s parking place is free on weekdays. 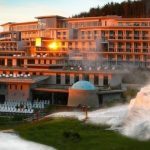 Many people gladly recall the 70s and 80s, when they enjoyed the refreshing effects of Egerszalók’s medicinal waters in romantic surroundings. 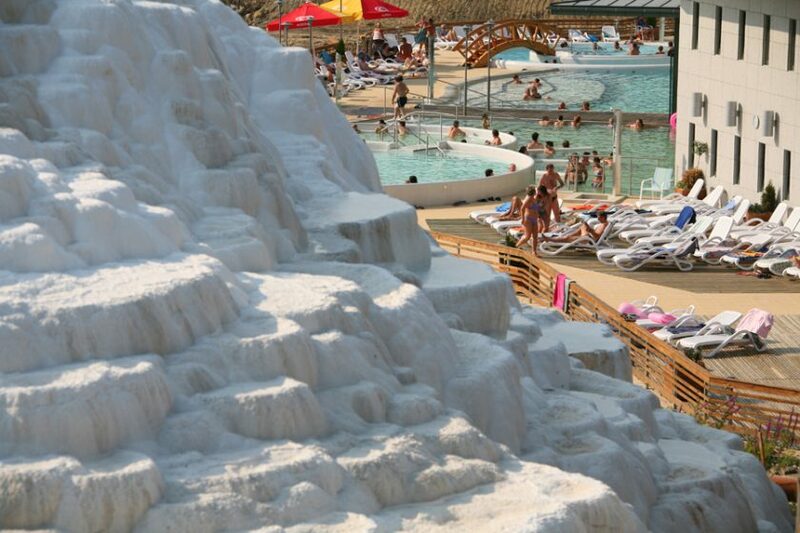 Next to the large car park, the open-air baths have three pools, with the following temperatures: 36-37C, 37-38C and 38-39 C.
At the snack bar, fried dough, sausage, crepes, beer and soft drinks are available.